Macbook Pro 2013, 2014 and 2015 – Compared to the 2012 model, the 2013 model is thinner, has a SSD (for faster speed), and a 1600p Retina screen. You can probably find it on eBay for $700-800 depending on the version. If you can spare some extra money, go for this version over the 2012 version. The 2014 and 2015 model have slightly better processors over the 2013 version, but are otherwise very similar. 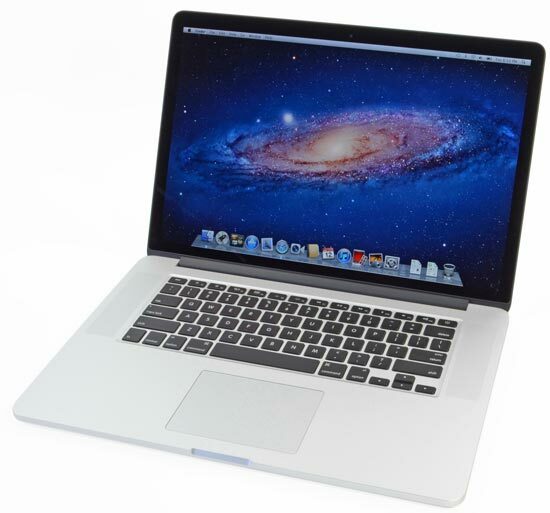 Macbook Pro 2012 – You can find it refurbished on eBay for $500. The 800p non-Retina display is dated but you won’t find a better deal for a cheap Apple laptop. It has a disc drive, a hard drive and 4 GB RAM but you can upgrade all of those parts and add an SSD. It’s Apple’s last upgradable laptop. iPhone SE – It’s a solid all-around very compact phone with good battery life. Not a bad way to get iOS on a budget. iPhone 6 and 6s – The 6s version is more recommended due to better hardware, but the 6 can also be acceptable in 2017. These phones are some of Apple’s more affordable ones and their specs/camera aren’t particularly outdated. And they still have the headphone jack of course. iMac 4K – For a $1000, you might be able to build a better desktop and buy a better 4K display, but you probably would have to spend almost as much money to do that. So if you want a desktop and a 4K monitor in one convenient package, that’s not a bad bet. iMac 5K – For a $1500 computer, having no SSD and only 8GB of RAM is a downside. To buy it with those upgrades will cost a lot of money, but thankfully, you can just buy those parts yourself to add them in. The real benefit of this computer is having a 5K display. Very few 5K displays exist for the consumer to buy, so if you want a very high resolution, this is an option. iPhone X – Keep in mind that I am only recommending this for consumers that have a lot of dispensible income and want a revolutionary feature like the advanced face camera sensor along with a quality bezel-less display. It will probably be the most advanced phone released. I see a lot of potential with face-tracking technology such as mo-cap recording for creative content, eye tracking for games and so on. iPad Air 2 – This is a medium sized lightweight tablet with a high-resolution Retina display and good specs. If you shop around, it can be had for a good price. 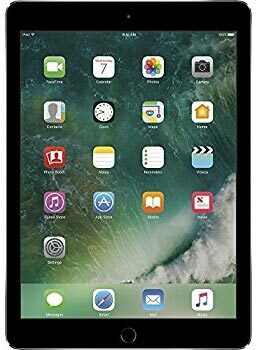 The affordable 2017 basic iPad is similar to the iPad Air 2 and should be mentioned as well. iPad Mini 2 – The specs are good enough for basic use, the resolution is high and the price is affordable. iPad Mini 4 – While more expensive, it’s not a bad deal for a small tablet. It has better processor, more RAM and a higher resolution back camera. This is a more future-proof purchase than the Mini 2.
iPad Pro – This iPad costs over $600, so keep in mind that I’m only recommending it for people who can well afford it. In that case, it has top of the line portability, specs, battery life and build quality. Many of Apple’s products aren’t the best of the best, but this one dominates the high-end for tablets. Macbook Air – It was great for its time, but by today’s standards, it’s a $900 web browsing machine with a cheap screen. Just get a Macbook Pro 2013 from a reputable seller. Mac Pro – Please never buy this. It’s several years old, it costs $3000-4000+, you can build a better PC for 1/3 the price. Macbook 12″ – It has a great screen and it’s extremely thin, but it’s processor is very weak and at $1200+, it’s really difficult to recommend. Macbook Pro 2016-2017 – The base models of these laptops are well over $1500, and if you want the best specs, expect to spend up to twice of that. The processors aren’t that much better than the 2015 MBP and it only has USB-C ports (enjoy buying dongles). The touchbar is nice but inessential. The keyboard and trackpad are love-or-hate. It’s remarkably thin but for the money, you could buy a laptop which is just as good and an iPad too! 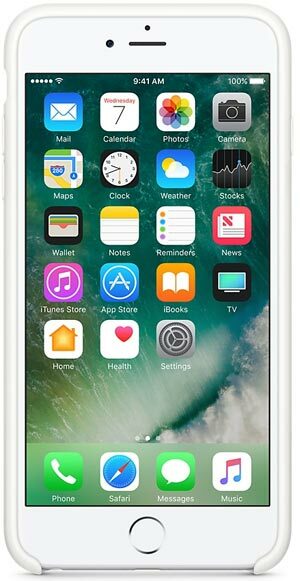 iPhone 8 – If you have a lot of money and want the best phone, just for the X. Yes, it has a great processor but it’s overkill for the smartphone needs of most people. For the most part, it’s just an incremental improvement over the iPhone 7 (which was an incremental improvement over the iPhone 6s). iPad Air 1 – Low resolution screen. Get the iPad Air 2 (it’s worth the extra money). iPad Mini 1 – With only 1 GB of RAM and a low resolution screen, just go for the Mini 2.
iPad Mini 3 – It’s basically the same as the iPad Mini 2 but with only a new fingerprint sensor added. Really? Most Apple product made before 2012 – Whether it’s the iPhone 4 (or earlier), the 2011 Macbook Pro (or earlier), the original iPad or previous iMac’s, these products are very dated. They’re going to have low resolution screens, low storage and weak processors for their price. Unless you’re a vintage collector or have really basic needs, there are several more recent Apple products which have better hardware and are affordable too (as I’ve mentioned earlier).